U.S. President Donald Trump meets with Afghan President Ashraf Ghani during the U.N. General Assembly in New York, U.S., September 21, 2017. 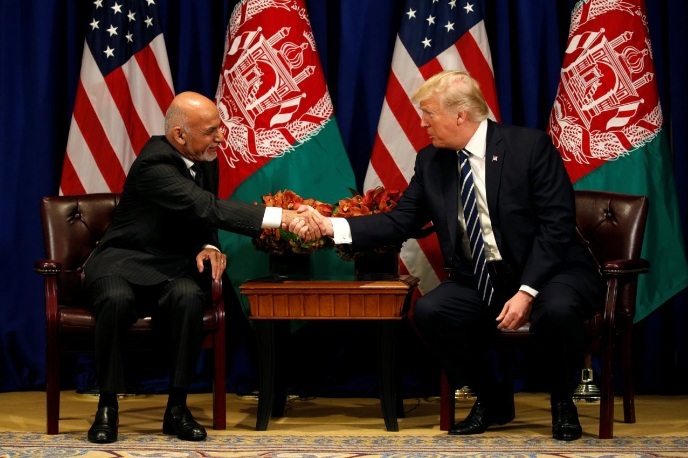 U.S. President Donald Trump and Afghanistan President Ashraf Ghani agreed at a meeting in New York on Thursday that U.S. companies could help develop Afghanistan’s rare earth minerals, the White House said in a statement. “They agreed that such initiatives would help American companies develop materials critical to national security while growing Afghanistan’s economy and creating new jobs in both countries, therefore defraying some of the costs of United States assistance as Afghans become more self-reliant,” the White House said. The two leaders also expressed their commitment to fully implement Trump’s new South Asia strategy to defeat terrorism, the statement said.